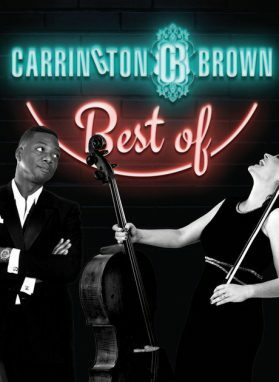 Carrington–Brown | Music & Comedy – British music & comedy duo based in Berlin. 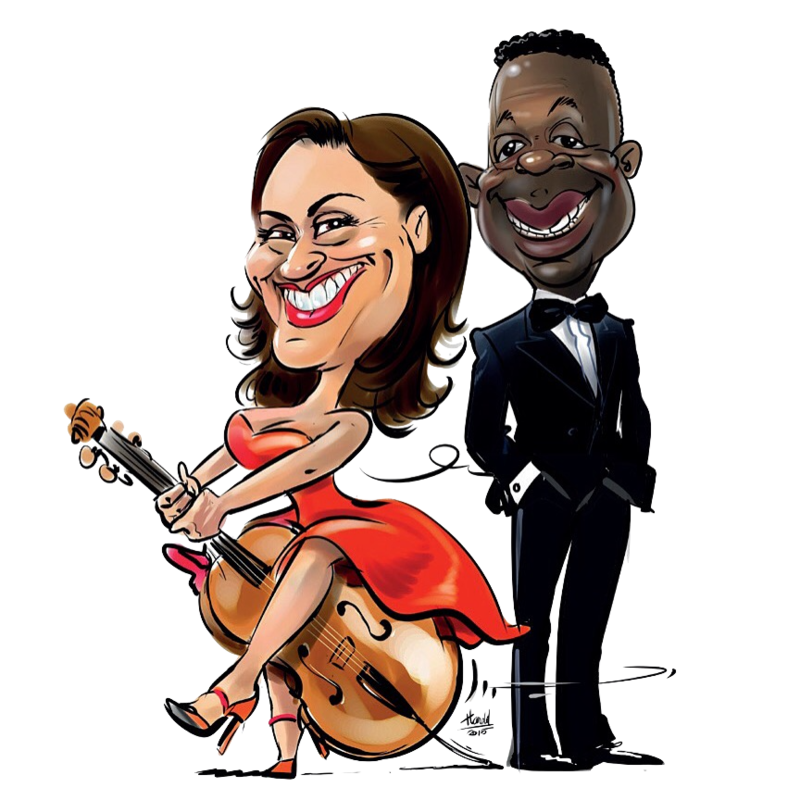 REBECCA & COLIN – This multi award winning and multi-lingual duo can be described as one of the world’s most unusual double acts. 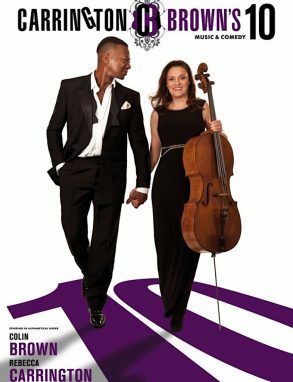 Together with “Joe”, Rebecca's 18th century cello, they perform spoofs of everything from Pop to Opera and Jazz to Bollywood. 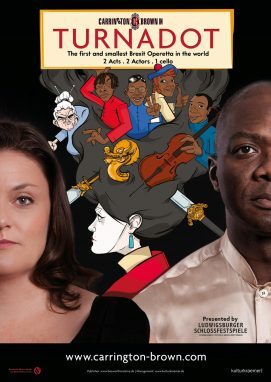 Rebecca Carrington, cellist extraordinaire, and Colin Brown – extraordinaire, period – make up one of the zaniest, most brilliant comedy duos in existence. A magnificent show that is in addition long-overdue to a comedy scene swamped with uniformity. Can I have your autograph?! We laughed and enjoyed their show so much, we asked them to perform at our Wedding and Birthday! Wow, I can play the cello, Bobby Mcferrin can sing but you do both at the same time, can I be your manager?! The first and smallest Brexit operetta in the world – 2 Acts. 2 Actors. 1 Cello. Puccini re-imagined. The best of their first ten years together on stage. Rebecca & Colin share highlights, milestones and love for music & comedy. Our award-winning music & comedy experience celebrating our 10 years together and on stage as well as living in Germany. 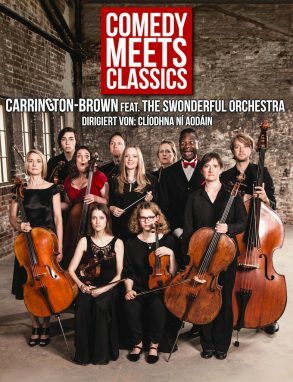 We joined forces with Irish conductor Clíodhna Ní Aodáin to create an unique mix of different styles of music – and comedy. Unsubscribe anytime. We respect your privacy.